July is known for being a hot month, and it looks like it'll live up to its reputation in the coming weeks — especially in the eastern half of the country. 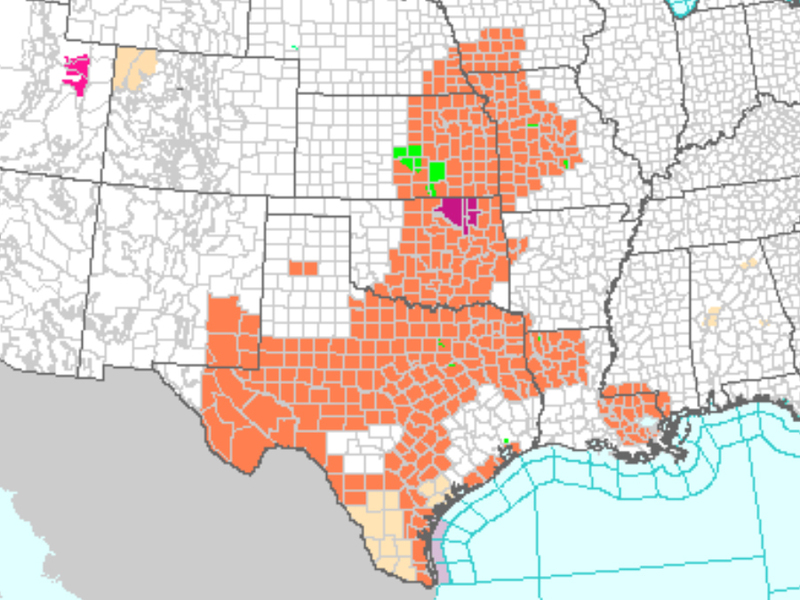 Heat and humidity have already returned to the Plains with heat advisories and excessive heat warnings stretching from southern Texas up to southwest Iowa. Parts of Georgia and the Carolina Coasts are also experiencing some hot, humid weather at the start of this short week. Near the end of the week and into the weekend, that dangerously hot weather is expected to return to nearly everywhere east of the Rocky Mountains. On the other side of the Rockies, however, cooler air is expected to slide into place, especially in the Pacific Northwest. This cooler air, which will likely be accompanied by some rain showers, should help firefighters who've been battling wildfires in hot, dry conditions. 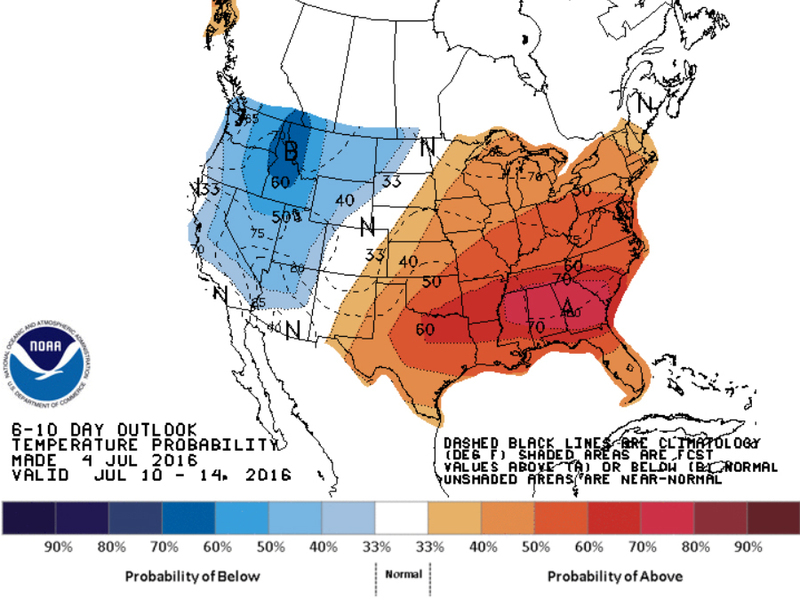 By the end of the month, though, the hot conditions are more likely to win out. 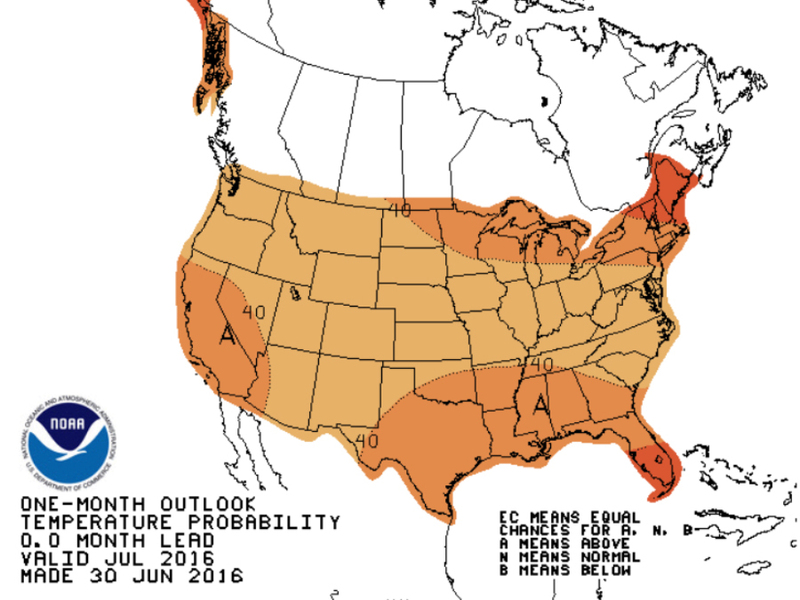 The latest long-term outlook for the month of July shows warmer than average conditions across the entire country. When the temperature rises in the middle of summer, make sure to drink plenty of water and stay cool.